Home » General » BREXIT and IP. How will the outcome effect YOUR business? BREXIT and IP. How will the outcome effect YOUR business? With just one week left to go, the BREXIT referendum is nearly upon us, but have you given any thought to how a BREXIT might affect the IP of your business? The UK IP system is currently highly integrated with EU legislation, and UK businesses can currently enjoy EU-wide protection for both trade marks and designs via the EU IPO so a BREXIT could have a significant effect on your current IP. 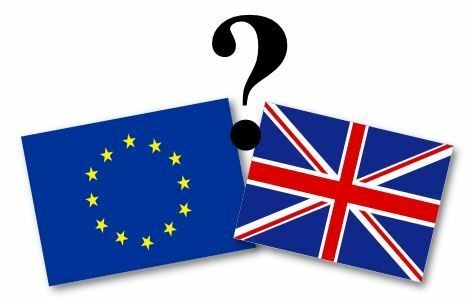 The European Patent Office (EPO) is not an EU body; the UK would remain as a contracting state of the EPO and UK businesses would still be able to file a European Patent application using a UK-based European Patent Attorney. However the EU IPO (which grants EU-wide trade mark and design registrations) is an EU body. Any existing EU Trade Mark Registrations and EU Design Registration would no longer cover the UK after BREXIT. We hope (with crossed fingers!) that in the event of a BREXIT that there would be transitional provisions to allow holders of these rights to extend the protection to a UK national right. But this isn’t guaranteed. And even if transitional provisions are put in place there would inevitably be additional costs for any extension needed. After a BREXIT, although UK businesses could still obtain EU-wide trade mark and design registrations via EU IPO, there would need to be separate protection for the UK, which would increase costs. Further, most UK based attorneys may not be able to represent businesses before the EU IPO. The long-awaited EU Unitary Patent and Unified Patent Court (UPC) would be thrown into confusion with a BREXIT. The legislation requires the UK to be a signatory before it comes into effect. Would the UK still sign if there is a “Leave” vote next Thursday? And if we don’t sign the delay to the Unitary Patent and UPC is likely to be considerable. It’s clear that the UK would lose the Central Division Court promised for London, with a loss of significant potential prestige, not to mention jobs. The UK IPO is very highly regarded in international and global IP circles – will the influence we can bring on a global stage be diminished? Will there be an outflow of IP lawyers and attorneys who would like to retain their current EU-wide qualifications and to continue to practice before the EU IPO and (in due course) before the UPC? If the best UK-based IP lawyers would rather be EU-based after a “Leave” vote, how will that leave UK business? If BREXIT occurs no knows for sure what will happen, especially in IP, but what is certain is that those businesses who are reliant on IP are in for unpredictable and possibly rough few years.